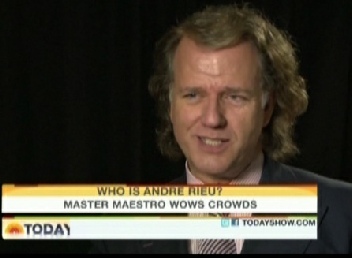 On Saturday December 18th, 2010, André Rieu appeared in the Today Show on the MSNBC channel in the USA. They speak with André, Kirsten, Pierre en several musicians. Thanks to Jim and Ruth for sending us this video.